From the end of World War II, through the Korean War of the 1950s and halfway into the Vietnam War, late in the 1960s, Granville Pennypacker of Englewood, Fla. served as a yeoman, a Navy administrator, in strategic hot spots around the world. “I joined the Navy in 1946 at 17, before I graduated from high school, took five weeks of boot camp and signed up for Submarine School at Pearl Harbor,” the 83-year-old former sailor explained. “I went to work on Adm. Watkins’ administrative staff at Com Sub Pack in Pearl at the time. “When we got to Pearl the harbor was pretty well cleaned up. However, there were still four-inches of fuel oil floating on the surface of the bay from the Japanese’s Dec. 7, 1941 attack. They tell me there were 12 and 14 inches of oil floating in the harbor right after the attack. So the oil had dissipated considerably by the time I arrived. 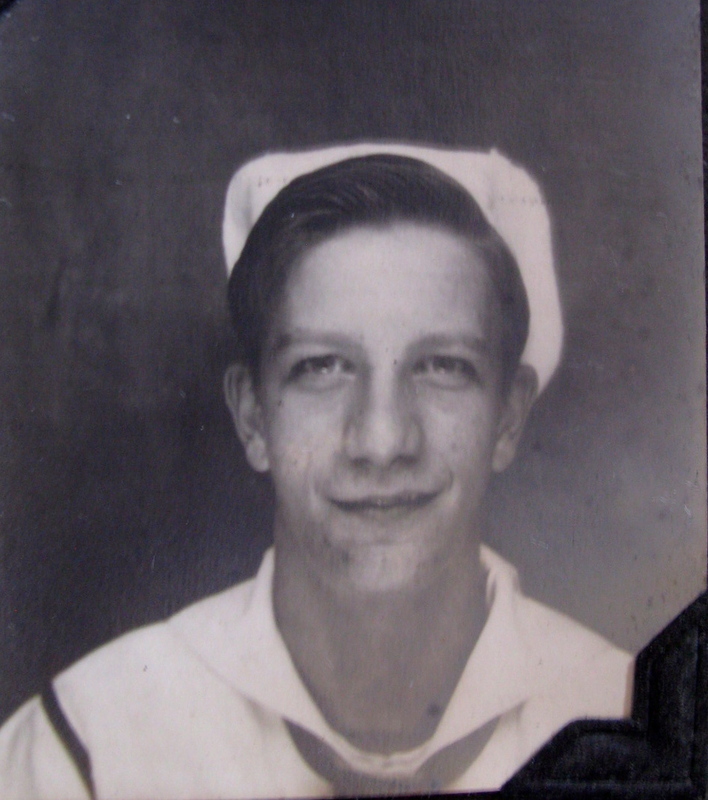 In 1947 he reenlisted in the Navy. Pennypacker was transferred to Adm. Radford’s Sea Pac Fleet, also headquartered at Pearl Harbor. He worked there for six months until reassigned to the United Nations’ run Trust Territory for the Pacific. This organization was responsible for administering all of the islands in the Pacific once held by the Japanese during Wold War II. “I became part of a Civil Administration Unit. We were sent out to these islands–Guam, Saipan, Tinian, Palau and many others–to produce an inspection report on how the islands and their inhabitants were progressing,” the old sailor said. “Each of these units were run by a lieutenant commander in the Navy and included a doctor and four or five administrative Navy enlisted men. “I was assigned to the Chief of Staff of the Territories. We hit all the islands under his control. One of the most important areas we administered was the island of Tinian,” Pennypacker said. “When we arrived there in 1949 it was just like the United States military had gotten up and left. There were B-29 bombers, lots of American fighter planes and tons of equipment and machinery abandoned on the runways and in the buildings on Tinian. No one was living on the island, no one was in charge. “It was quite an unnerving sight to see all this stuff just left there. In machine shops tools were still right there in the grease where they had been left,” he said. “It was our job to take a survey of all this equipment. During their inspection of these islands the administrative staffs, run by the Chief of Staff of the Territories, provided the native inhabitants with medical care and food. Their plight was dire after the war and the chaos left behind by the fighting increased the plight of the native population. 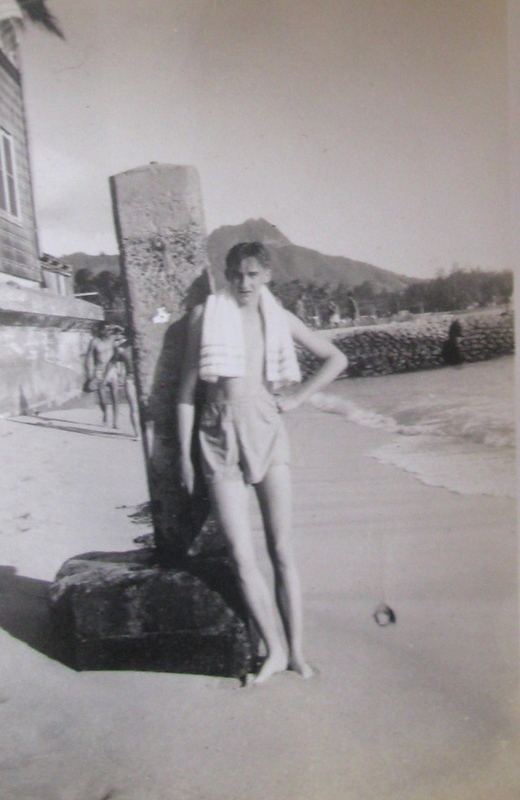 Pennypecker relaxes on Waikiki Beach. In the background is Diamond Head. Photo provided. Pennypacker’s matrimonial plans were put on the back burner until the Hamner sailed back into Pearl in 1953 at the close of the Korean War. “On the way back from Korea I got orders to report to AFSWP. Nobody knew what it was. It turned out to be Armed Forces Special Weapons Project based in Washington, D.C.,” he said. “We worked on the first top secret atomic explosions in Pacific Islands after World War II. “The military was going to explode an atomic bomb underwater for the first time in the harbor at Enewetak. The island was evacuated before the bomb went off. 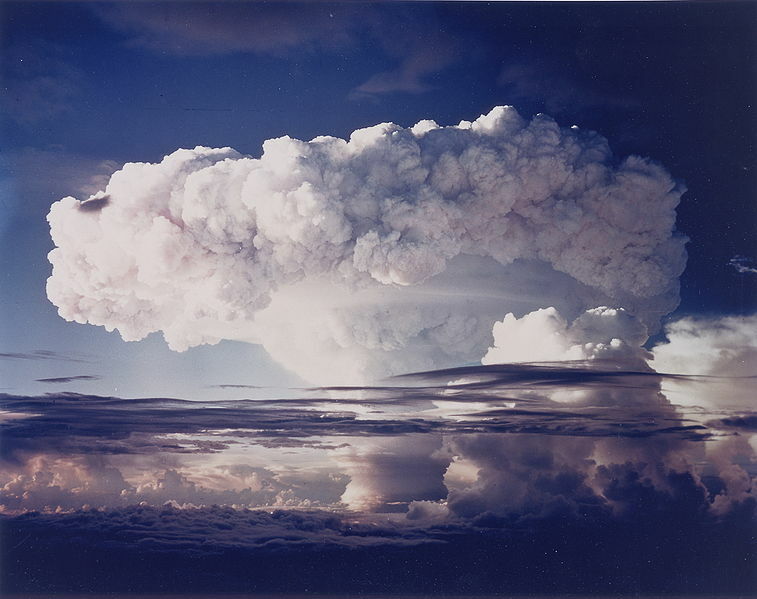 “I was aboard the command ship USS Mount McKinley at Enewetak Atoll when the bomb went off. We were six or seven miles from the explosion with our backs to the bomb wearing dark glasses,” Pennypacker said. “There was a huge bright light and the shock wave from the blast hit us about three seconds later. The shock wave knocked some of the guys aboard ship down. “After the explosion they told us we’d probably all be sterile. I had three kids,” he said with a laugh. “We caught a plane back to Washington, D.C. after the blast and wrapped up our business there. “Then I was assigned to the Military Advisory Assistance Group in 1954. It was the job of this group to help the Thailand Navy and Army build up. I was stationed in Bangkok, Thailand. By 1954 I was spending a lot of time in what was then called French Indochina in what was to become Vietnam. “After the French were thrown out of Vietnam the country was split into North and South Vietnam in 1956. It was about this time I returned to the United States at reported to the Naval Recruiting Station in New Orleans. “It was during this period I had one of the most rewarding experiences of my entire career in the Navy. We had one kid who wanted to enlist, but had never gone past the seventh grade in school. When he came to see me he was 17 and because he hadn’t graduated from high school we couldn’t enlist him,” Pennypacker said. “He took the Armed Forces Qualification Test and aced it. I talked to the commander of the New Orleans recruiting station and told him, ‘This kid was sharp and would be an asset to the Navy.’ We got the Bureau of Naval Personnel to enlist the kid under a waiver. It was at this point Pennypacker tried to retire from the Navy. He had put 20 years in the service, but the Navy would have none of it. Shortly before he decided to hang it up he had re-upped for another six years. Pennypacker tried once more to retire, but was told he had to spend the next six months at the Naval Hospital in Philadelphia. He was sent back to duty after the hospital and on July 28, 1968 he got his orders for retirement from the Navy on Aug. 1 of that year. He served 22 years in the Navy and retired as a chief. “My wife and I came to Englewood in 1983 and I worked in home sales for the builder that built my house until I reached 75 and retired for good,” he said. The couple has three children: Granville Jr., Peggy Jo and Valerie Ann. This story was first published in the Charlotte Sun newspaper, Port Charlotte, Florida on Monday, Oct. 22, 2012 and is republished with permission. Click here to view Pennypacker’s Collection in the Library of Congress Veterans History Project. Elkton – Granville L. (Penny) Pennypacker, Sr., age 89, of Elkton, MD, passed away peacefully on Monday, March 5, 2018 surrounded by family. Born in Huntington, WV on December 24, 1928, he was the son of Granville Owens and Anna Lee (Douthat) Pennypacker. He is preceded in death by his parents and his beloved wife, Reba (Miller) Pennypacker. 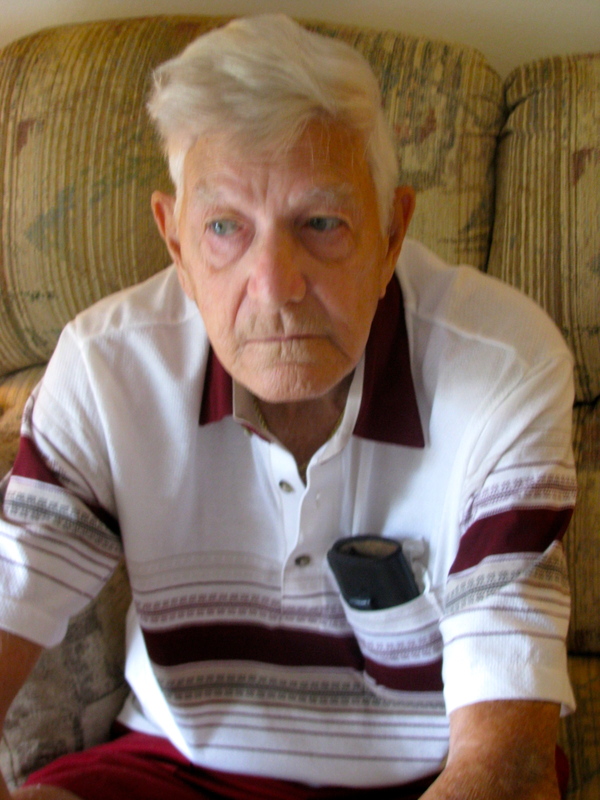 A week after Granville’s 17th birthday, he enlisted in the United States Navy and proudly served during WWII and through the Korean and Vietnam conflicts. After 22.5 years, Granville retired from the Navy as a Chief Petty Officer and began his 2nd career in banking, during which time he received his Bachelors Degree in Business Administration from Wilmington University. In 1983, he and Reba “retired” to Florida where he promptly began a 3rd career as a successful realtor and sales representative for several local builders, until permanently retiring at the age of 77. During these retirement years in Florida, he and Reba continued their love of travel by regularly visiting many distant and exotic locations around the world. After Reba’s passing in 2014, he often fondly recalled their last adventures traveling down the Yangtze River in China and riding elephants in Thailand. His only regret was that he and Reba were only able to visit 48 of the 50 US states. He will always be remembered as a devoted husband, father, grandfather, great grandfather, and a dear friend. He is survived by his children, Peggy Mitchell (David) of Elkton, MD, Granville Pennypacker, Jr. (Joleen) of Chesapeake, VA, and Valerie Reyes (Jorge) of Bear, DE. He is also survived by 7 grandchildren: Edward Mitchell, Shannon Hopkins (David), Jay Reyes (Brittany), Nicole Paynter, Daniel Reyes, Julianne Pennypacker, and Jessica Creek (Joshua); and 4 great grandchildren: Reagan, Roslynn, Joshua, and James. A visitation for family and friends will be held from 2 pm until 3 pm on Saturday, April 14, 2018 at Spicer-Mullikin Funeral Home, 121 West Park Place, Newark, DE, where a memorial service will begin at 3 pm. Interment will be held at 10 am on Monday, April 16, 2018 at the Delaware Veterans Memorial Cemetery, 2465 Chesapeake City Road, Bear, DE. In lieu of flowers, donations can be made to Suncoast Humane Society, 6781 San Casa Drive, Englewood, Florida 34224. I was also on the bomb blast the same time in OR DIVISION. Glad you made it home, Bob. Thanks for reading War Tales. After missing mom for more than 3.5 years, dad rejoined her in heaven on March 6, 2018. Our sincerest condolences on your father. He had a good story and did well by it. If you re-read this, you’ll see some updates were made, as well as linking to his collection in the Library of Congress. Unfortunately, the Library of Congress doesn’t include every disc I send them along with the stats.